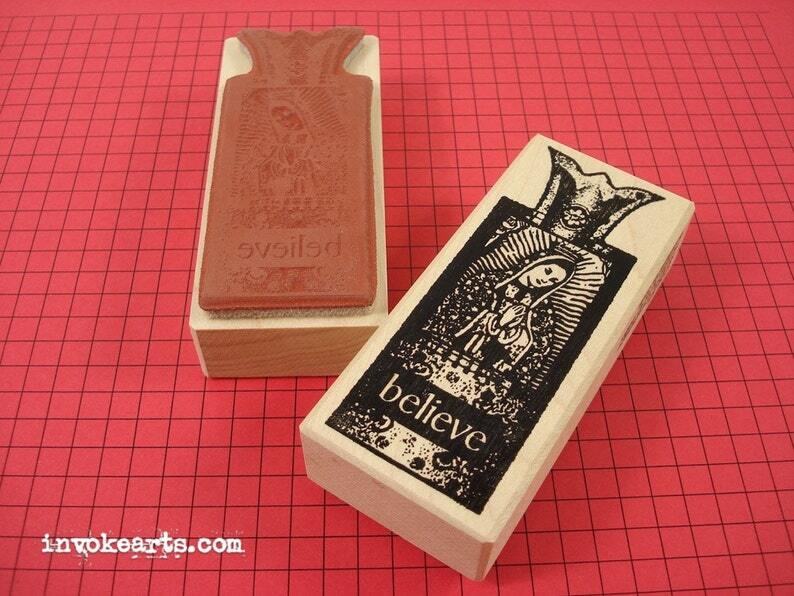 Wood Block Measures 1 3/8" x 3 3/4"
Virgin of Guadalupe image in retablo style element to collage stamping, Tag Art, Journals, Mixed Media and Collage. Great quality and arrived fast! Can't wait to use them!